The White House on July 11 announced that President Donald Trump has nominated Ronald L. Batory, who recently retired as President and Chief Operating Officer of Conrail, as the next Federal Railroad Administrator. Batory retired March 31 as President and COO of Conrail, following a 46-year rail operating career that included the presidency of the Belt Railway of Chicago and senior positions at Class I and regional railroads, including general manager in Chicago for Southern Pacific. He earned a bachelor’s in business from Adrian College and a master of arts from Eastern Michigan University. 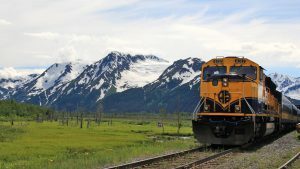 “Not since Canadian born Reginald Whitman was administrator (1969-1970), following a 40-year career at Great Northern Railway (1929-1969), has there been one with as comprehensive a rail operating background as Batory,” notes Railway Age Capitol Hill Contributing Editor Frank N. Wilner. Batory was one of four short-listed candidates for FRA Administrator, and was in most circles considered the front-runner. Of the four—Batory; John J. Brennan III, senior commerce counsel, Union Pacific; Roger Shane Karr, chief of staff to House Majority Leader Kevin McCarthy (R-Calif.); and Steve Martinko, a government affairs counselor with the law and lobbying firm K&L Gates—Batory was the only candidate with railroad operating experience. 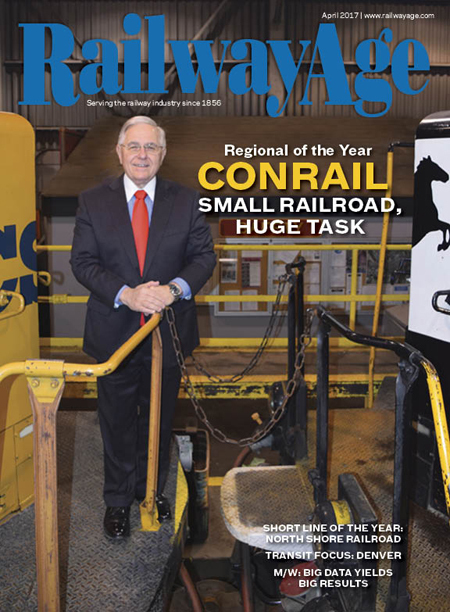 His accomplishments at Conrail in large part led to the railroad’s selection as Railway Age’s 2017 Regional Railroad of the Year. The U.S. Senate must confirm Batory as FRA Administrator, along with many other Trump nominations for key government posts . At this point it is unclear whether a confirmation hearing will take place prior to the Senate recessing for the summer, in August. 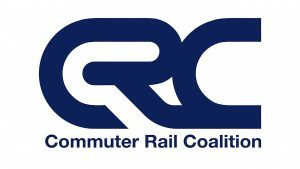 “Ron Batory’s nomination as Federal Railroad Administrator is a creative move to bring fresh technical, business, operational and safety oversight to the FRA’s important regulatory oversight position,” comments Railway Age Contributing Editor Jim Blaze. 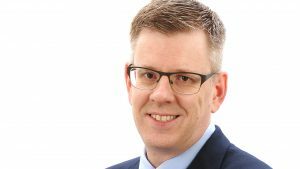 “His experience as a hands-on manager of complex daily train movements with multiple companies on shared trackage brings forth modern ideas of what has to happen to keep rail commerce fluid. Ron Batory made it happen. He is more than just a research- and policy-skilled person. “From the position of once auditing the early days of the Conrail split two-decades ago, I had inside information as to how a safety-first corporate Conrail culture improved while simultaneously the economic productivity of moving masses of freight cars with large and small trains also improved. Batory tested and then introduced step-by-step science and GPS movement technology for – more network precision and train origin and destination points. The long-term result was on-line traffic volume growth. “Batory enabled his team to accomplish improvements out on the tracks without the aid of complex and expensive PTC. 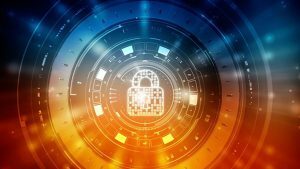 That experience may translate now into better benefits as the more-powerful PTC is placed into operation in the coming years. “Batory’s two-decade long task was to create better order for the CSX/NS jointly owned terminal complex while reducing capital and operating costs and critical human safety incidents. Revenue management was not the assignment. Traffic growth, however, via satisfied customers was part of his team’s task. “From a distance, we all observed four outstanding qualities. First, he is a great listener, encouraging frank discussions on operations and options from his entire organization. That’s important at a place like the FRA. “Second, he displays a sound analytical appreciation for pushing fuel and engineering data in order to find procedural- and location-specific operational improvement and identify safety problems. He comprehends the difference between big data complexity and the need to execute against the data that’s critical to a problem. His periodic Railway Age forum papers provide that evidence. “Third, Batory is a professor (not just a student) on the changing economics of both the passenger rail and the freight railroad industry as the customers of both sectors become more demanding about how movement logistics is delivered, and how, often, it is delivered better by modal or emerging technology competition. “Fourth, but not necessarily last, he is an excellent policy leader, a person who can help communicate operations from a regulatory seat into commerce improvement as well as articulated public policy. “Batory is very good as an analyst at being able to say no to projects of questionable value—or just poor timing. Details like that, I believe, are what make commercial decisions great for the rail industry. Many managers don’t have that deliberative ability to know when to say no.